Real Estate Agents - How To Find The Right One!Eliminate The Muda! 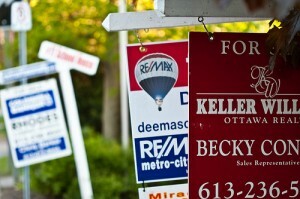 Real Estate Agents - How To Find The Right One! Purchasing real estate can be a stressful and challenging experience. While you may be happy to get into a new house or take ownership of an income producing property, the journey to get there is filled with questions and concerns. You know the agent is being unethical. The agent seems to have no basic knowledge of the local real estate market. The agent does not listen to you. The agent is difficult to get in touch with. The agent displays general incompetence. Wouldn’t it be great to avoid these situations in the first place? Unfortunately this may not always be possible so keep these great ideas in mind. If you want to increase the chances that you will be happy with the agent you choose to represent you follow these guidelines. 1) Begin with a list of potential agents. Consider using a Realtor® – Surprising as it may be, not all real estate agents are Realtors. Only agents that are members of the National Association of Realtors and agree to follow their code of conduct are eligible to advertise that they are a Realtor®. Use advocates advice – Leverage friends, family or co-workers in the area you will be buying. Do they have a recommendation of an agent they would use again? Would they use the agent again? This is a question that must be answered positively to even consider the agent. However this alone is not enough of a reason to blindly rely on this agent to help you with your purchase. Recommendations should only be used to find a list of potential agents to choose from. Google real estate agents – Another way to develop a potential list of agents is simply by searching online. Look for “real estate agents in “your desired zip code”. Take a look at the websites for agents in your chosen neighborhood. Keep an eye open for years of service, awards and testimonials. How long has the agent been in the industry and market area? – Not only do you prefer to have a person that experienced but you want someone that will know your area very well. What is their average ratio of asking price vs. purchase price? – Your agent gets paid based on the price of the contract. They are incentivized financially to get you to pay the most. A good agent however will work with a buyer to get the best price and provide the best service possible. This brings them referrals and repeat customers. In the long run this will bring them success. What is their approach to home purchase? – A good agent will have a proven plan for helping you find and purchase the right house for you. Will you share documentation in advance? – When you get down to business and are working under the gun for submitting offers and counteroffers under a deadline is not the time to be reviewing routine documents. While every deal is unique it is nice to get as much of the basics out of the way while there is no stress. Does the agent offer a guarantee? – If you sign a buying agreement with the agent but later determine that you don’t like the arrangement will you be able to cancel the agreement? Also ask if others have done the same and if so why. What does the agent charge? – Fees historically have been standard at 6% total, 3% for the selling agent/broker and 3% for the buying agent/broker. In this market fees are much more negotiable. Don’t question the price up front, save the negotiation for when you have a house picked. When ready to sign the offer make full commissions dependant on getting the best price. 3) Test drive the three best picks. Before signing any agreement, arrange a one day house hunting tour with 3 different agents. Be transparent; tell them each what you are doing. Give them one day to show you that they can listen to your wants and needs, get to know them personally and let them prove they deserve your business.